Enrico Ramirez-Ruiz, professor and chair of astronomy and astrophysics at UC Santa Cruz, has been honored by the High-Energy Astrophysics Division (HEAD) of the American Astronomical Society with the 2019 HEAD Mid-Career Prize. The award recognizes Ramirez-Ruiz "for his key contributions to our physical understanding of transient phenomena involving compact objects." "I am deeply honored to be receiving this important recognition. For me, the most gratifying aspect is that many of these research efforts have been done in close collaboration with students,” said Ramirez-Ruiz. “I believe that properly mentored students will afford one a legacy that will last well beyond that of any award." A theoretical astrophysicist, Ramirez-Ruiz uses computer simulations to explore violent, transient phenomena such as collisions, mergers, and disruptions of stars—especially those involving compact objects like black holes, neutron stars, and white dwarfs. Over the past decade, he has developed a cutting-edge research program in this area, pushing the frontiers of this exciting field. His research addresses fundamental questions in high-energy astrophysics and provides a framework for understanding the observational data coming from new telescopes, gravitational wave detectors, and astronomical surveys. 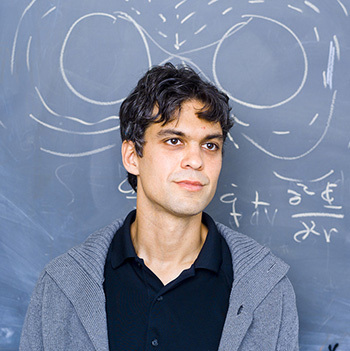 HEAD also announced that UC Berkeley astronomer Dan Kasen, who did postdoctoral research with Ramirez-Ruiz as a Hubble Fellow at UC Santa Cruz, would receive the 2019 Rossi Prize. Ramirez-Ruiz will give his prize lecture at the upcoming HEAD AAS meeting being held in Monterery from March 17 to 21, 2019.